Sunday early morning brought us glimpses on rainy Bratislava. Those, who weren’t discouraged by cloudy wet morning, could experience several interesting observations from bike saddle. 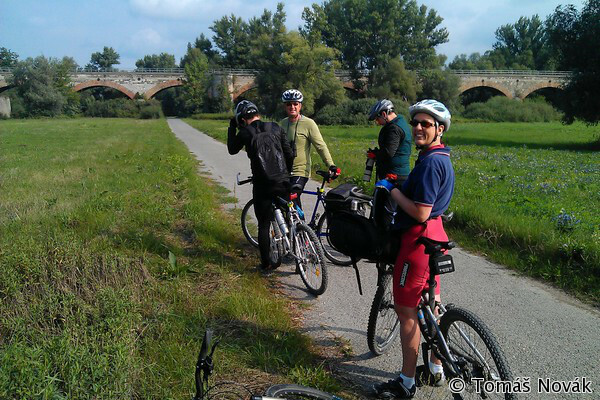 Our birdwatching bike ride started in Devínska Nová Ves and followed the cycling path along the Morava River. Our first stop was on the southern edge of Marchegg railway bridge. We spotted a pair of Cuckoos (Cuculus canorus). May be local birds, may be already on migration. Meanwhile we could observe flyover of 4 Little Egrets (Egretta garzetta). After 2 km of ride we stopped to observed a flock of c30 European Bee-eaters (Merops apiaster), that flew and hunted over the river. 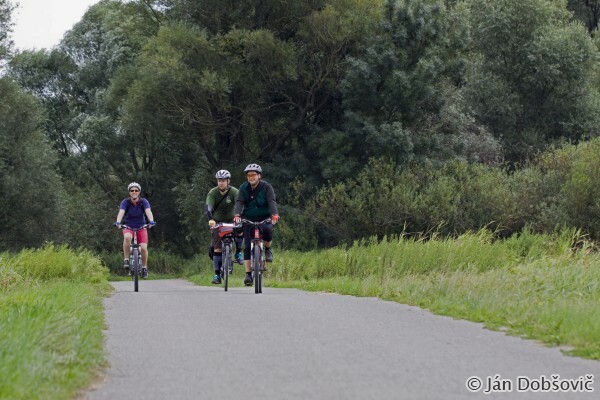 We headed to floodplain of the Morava River, that is full of oxbow lakes, wetlands and flowery meadows. We spotted Red Kite (Milvus milvus) that was perching in the treetop over the Malina River. Purple Heron (Ardea purpurea) landed on an oxbow lake next to the cycling path. We observed it several minutes as it was hunting in water covered with leaves of Yellow Water-lily (Nuphar lutea). 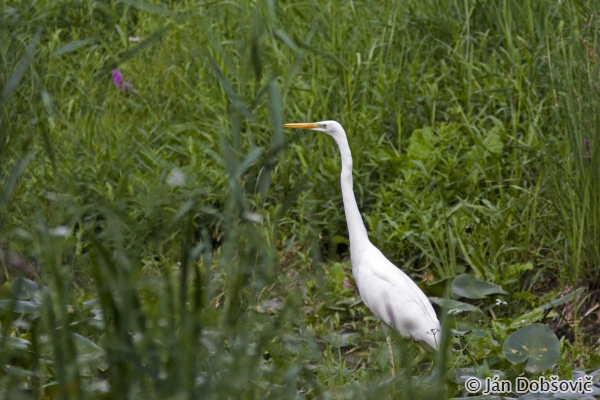 We know this species of heron from our trips to Neusiedler See – Seewinkel National Park. While we were observing herons on one of the other oxbow lakes we spotted Black Stork (Ciconia nigra) that was soaring in the height. In a while we were checking the sky again. Imperial Eagle (Aquila heliaca) flew overheads. We rode a while again but we stopped to observe a site where we found approximately 25 herons of various species (Ardea cinerea, Egretta alba, Egretta garzetta). It was good opportunity to compare their plumage and size. These idyllic moments were interrupted by adult White-tailed Eagle (Haliaeetus albicilla) that hunted for prey just few meters from these herons. In next minutes of our bike ride we enjoyed views on floodplain meadows covered in sunshine. After the stop near the town Marchegg we turned back. On our way back we stopped on place where we observed White-tailed Eagle. There was a young specimen perching on the tree over the water. Coming fisherman forced the raptor to fly away. Meanwhile Hobby (Falco subbuteo) flew over our heads. In following minutes we observed 4 White-tailed Eagles slowly soaring and gaining height. Calls of Bee-eaters were accompanying us during the whole trip. 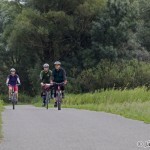 Despite morning clouds almost all of our 27 km long bike ride was in sunshine. 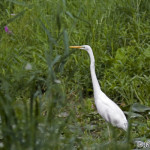 Sunday’s bike birding brought us several interesting and rare bird species and we hope many other bike trips will follow.